Is Your Facebook Business Page Making These Mistakes? 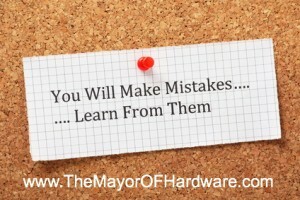 You are here:Home Facebook Is Your Facebook Business Page Making These Mistakes? A personal page set up as a business page… This is wrong on so many levels. Problem number three – no custom tabs. You might not think these tabs are important, but they help you create traffic to other platforms, give creditability to your page and increase user engagement. Are you showing up regularly? I know what you’re thinking… Do I have too? YES! A page that hasn’t been updated in weeks, months or even years (I’m not exaggerating) gives the impression that you don’t care. Maybe you don’t care about Facebook, but what if your customer does? Not the best way to make a good first impression. Believe it or not there are businesses that still have an incomplete profile – really? There’s that I don’t care attitude again… Not to mention that a completed profile containing keywords benefits you! Settling down, building families… At some point all of these kids are going to need your services. Where do you think one of the first places they look will be?? Ding Ding Ding… Yes Facebook! Visit my page, what do you think? What Facebook habits rub you the wrong way?